But, It Ain’t My Fault! 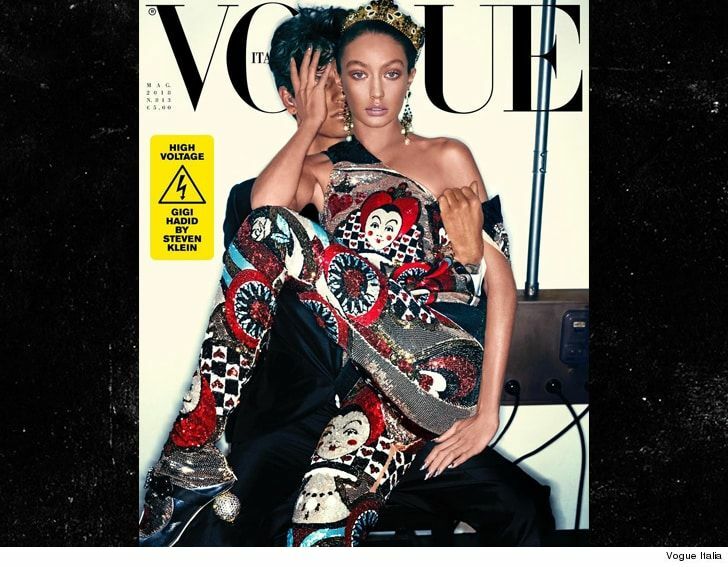 Gigi Hadid is issuing a mea culpa for what many fans perceived to be her in blackface on the new cover of Vogue Italia … even though she’s not taking any of the blame. Gigi posted a statement in reaction to a ton of backlash she and Vogue received Thursday, after she was featured on the magazine’s May 2018 cover, saying she had no creative control of the shoot … including whatever happened to the photo later in editing. The model admits to getting bronzed up for the shoot — noting that’s the style the photographer, Steven Klein, likes to roll with for projects. She says she was aware she’d come off as slightly darker … but cops to the ultimate execution being bungled. Gigi and Vogue got a similar reaction with another Vogue Italia cover from back in 2015 … when she was photographed rocking an afro wig. While she proudly posted Thursday’s new cover online at first … she has since taken it down.